Barry Cranston, Belinda Ingram, Patricia Reynolds, John Barilaro and Dee Hogan at the grant presentation. 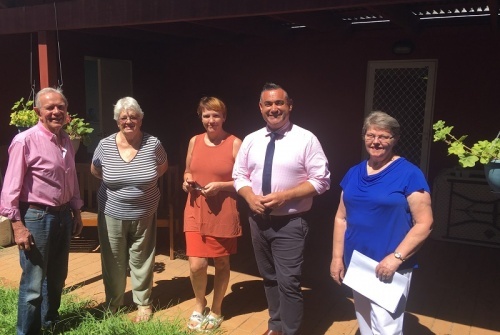 MEMBER for Monaro and NSW Deputy Premier John Barilaro yesterday (Thursday, January 31) visited Queanbeyan Art Society to announce funding of $71,250 for a major regiment renovation to the cottage. 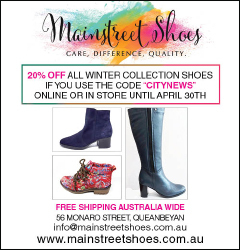 “Our local artists capture Queanbeyan in a way that few other can… providing local artists with a space where they can focus on the work is a great achievement,” Mr Barilaro said. He said the funding would be used to enclose the existing pergola, re-floor the area to transfer it into a new gallery room, enlarge the boundary fence and create a better public entrance with a disabled access ramp. With more than 350 members in the Queanbeyan area, the thriving society hopes the expansion will cement the place of the cottage gallery under the bridge as a local focal point. Society president Barry Cranston said members were thrilled by yesterday’s announcement.